Marine Recruits Body Spar - USA Patriotism! April 11, 2019 - Recruits with Charlie Company, 1st Recruit Training Battalion, body spar during the crucible at Marine Corps Recruit Depot Parris Island, SC. 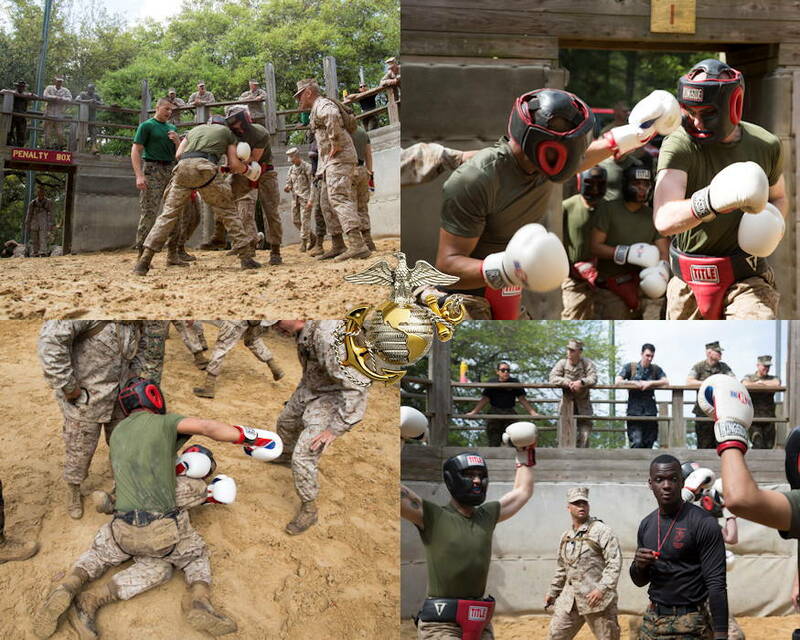 Body sparring forces recruits to apply the fundamentals of Marine Corps martial arts.